There’s a boy somewhere under those covers. Or should I say a man? 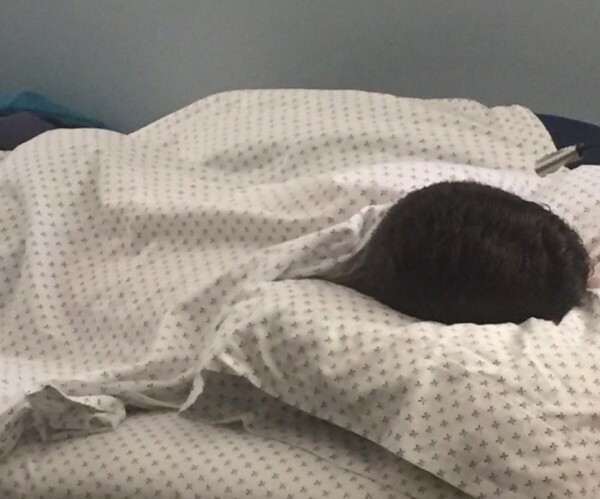 My son home for the summer, asleep in his childhood bed, having recently completed his freshman year of college. This time last year I was reading all the articles cautioning that we only have 18 summers with our children. 18 summers to fit in a lifetime of memories. So that summer, our 18th, became in my mind profoundly important. We took the big family vacation. We documented each seemingly insignificant outing with dozens upon dozens of photos. Every small moment we shared as a family felt somehow both strikingly sad and breathtakingly beautiful. I was weepy, my son was elated, and those steamy summer days passed far too quickly. Last summer was our 18th summer. It was supposed to be the last one where things still felt the same. Normal. Comfortable. Familiar. Now my son is home again, asleep in his childhood bed. And this is our 19th summer. I’m calling it our bonus summer. Yet this 19th summer already feels so different than last summer. I haven’t taken a single photograph. We’ve planned no big family trip. And I’m not trying to memorize my son’s face every time I look at him. Of course I’m so grateful to have him home. But I have no intention of letting this summer, our bonus summer, be defined as a last, or an ending, or as anything more significant than the simple blessing of time spent with the people I love most in this world. Every day of this bonus summer will be exactly what each day has always been: a gift promised to no one.